Products displayed on the site can be purchased using a secure online Mastercard or Visa transaction facility or via bank transfer. All prices shown are in NZD$ and all transactions will be billed in NZD$. Customer credit card details are protected by the latest security mechanisms and are used only for purposes of the transaction fulfilment or as otherwise authorised by you or permitted by law. During the checkout process you will be asked to register as a member of gubba.co.nz and your relevant address and contact details will be saved. Once registered you will have access to member benefits, including receiving regular emails containing helpful garden and product related tips, special deals and promotions. You will receive a password in connection with your use of this site. You are responsible for keeping your login information (email and password) secure and private. Without limiting the foregoing, you agree to not permit any other person to use your membership account; and not to disclose information to others that would enable them to gain access to your membership account. Gubba reserves the right to limit the number of items customers can purchase in a single transaction. Gubba will send you an email to confirm that we have received and accepted your order, which indicates that your order has been accepted. Payment will be taken at the time that we accept your order. Gubba reserves the right to change any price, product, service or new item without notice. All promotional items are subject to availability. In the unlikely event that the goods or services ordered are no longer available Gubba reserves the right to refuse or cancel an order. Gubba reserves the right to refuse or cancel any orders that we believe, solely by our own judgment, to be placed for commercial purposes, e.g. any kind of reseller. Gubba also reserves the right to refuse or cancel any orders that we believe, solely by our own judgment, to have been placed fraudulently. While Gubba endeavours to ensure that the price and description of goods or services is accurate, if there is an error in the process of listing a product or service on this website or a technical error in the processing of your order we reserve the right to refuse or cancel the order. Our right to cancel orders applies to orders that have been accepted. The products will be at your risk from the time of delivery. Ownership of the products will only pass to you when the full payment of all sums due is received, including delivery charges. It is your responsibility to ensure the correct delivery address details have been entered at the time of ordering. Gubba is not liable for any costs associated with resending an order due to delivery address details being incorrect. Most products are shipped directly from Gubba’s warehouse location in Auckland, however some products are shipped directly from our Suppliers. Shipping may take additional time during sale periods, holidays and extreme weather events. Please visit the Shipping & Returns page for full information on the delivery and returns process. Please visit the Wholesale Enquiries page for more information. Unless otherwise specified, the services offered on this website are for personal and non-commercial use. Gubba (or Suppliers, as the case may be) owns all proprietary and intellectual property rights in the website including and not limited to text, graphics, logos, icons, video and sound recordings, and the software and other material underlying and forming part of the services and the website. You may not without our prior written permission, by any form or by any means download, adapt, reproduce, copy, store, distribute, print, display, perform, publish or create derivative works for any part of this website; or commercialise, copy, or on-sell any information, or items obtained from any part of this website. Your access to and use of the website is also subject to these Terms and Conditions and all applicable laws. This website is governed by, and is to be interpreted in accordance with, the laws of New Zealand. We will make all effort to ensure availability of the website and services, subject to any downtime required for routine maintenance and upgrades. However, we take no responsibility for any system unavailability, or for any losses incurred as a result of the website or services being unavailable. Furthermore, Gubba assumes no responsibility for the corruption of any data or information held by Gubba. We use a secure Hosted Payment page solution from Braintree to process online orders. Customers can see their cards being authorised in real time, all in an SSL secure environment. The Hosted Payment page enables us to offer customers a safe and speedy online shopping experience. You agree not to disrupt, modify or interfere with the Service or its associated software, hardware and servers in any way and you agree not to impede or interfere with others' use of the Service. You further agree not to alter or tamper with any information or materials on, or associated with, Gubba and/or the Service. Gubba and its affiliates shall not be liable to you or any third parties for any direct, indirect, special, consequential or punitive damages allegedly sustained arising out of your access to or inability to access the Service. This includes viruses alleged to have been obtained from the Service, your use of or reliance on the Service or any of the information or materials available on the Service, regardless of the type of claim or the nature of the cause of action. Gubba is not responsible for the content of any website linked to or from the site. Your linking to any other website is entirely at your own risk. While Gubba may provide links on this site to other sites, the inclusion of such links is for your convenience and information only and should not be interpreted as an endorsement of the website or the content of the website. 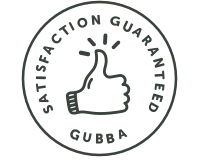 To the extent permitted by law, Gubba disclaims all warranties, express and implied, as to the accuracy, validity, legality or otherwise of any materials or information contained on such sites. Gubba has the right to revise and amend these Terms and Conditions from time to time.